Eric Marlon Bishop, known professionally by his stage name Jamie Foxx, is an actor, singer, songwriter, record producer, and comedian. He won an Academy Award for Best Actor, BAFTA Award for Best Actor in a Leading Role, and Golden Globe Award for Best Actor in a Musical or Comedy, for his portrayal of Ray Charles in the 2004 biographical film Ray. The same year, he was nominated for the Academy Award for Best Supporting Actor for his role in the crime film Collateral. Other prominent acting roles include Staff Sergeant Sykes in Jarhead (2005), Detective Ricardo Tubbs in the 2006 film adaptation of TV series Miami Vice, the title role in the film Django Unchained (2012), and the supervillain Electro in The Amazing Spider-Man 2 (2014). 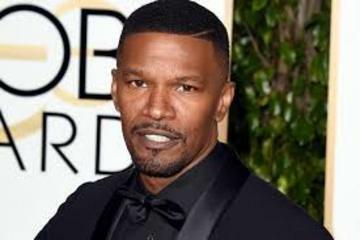 Foxx also starred in the 1990-1994 sketch comedy show In Living Color and his own television show from 1996 to 2001, the sitcom The Jamie Foxx Show, in which he played Jamie King, Jr. Foxx also starred in the 2014 film Annie, in which he played Will Stacks.